Abington, PA. August 31, 2016. Upon entering Brookside Healthcare & Rehabilitation Center, you are enveloped with a distinctive sense of warmth that goes well beyond the natural sunlight that infuses its premises, and the renowned attentiveness of its staff. A proud member of Nationwide Healthcare Services, Brookside is ensconced on seven beautifully landscaped acres in the heart of Montgomery County, it’s environment truly unique in the palpable feeling of companionship and effortless rapport between staff, residents – and even their visiting family members! 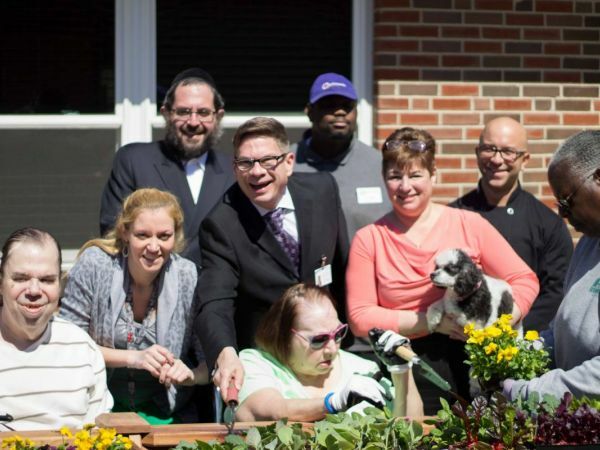 This easy rapport is not accidental, but rather integral to Brookside’s Mission to meet the physical, emotional and spiritual needs of its rehab clients and residents in an environment that is genuinely caring. It is also a reflection of the administration’s keen understanding of the latest research indicating the positive impact pets have in the overall wellbeing of Seniors, and the Center’s foresight to include a therapy dog, thus significantly enhancing their efforts to create a “family-home” environment – as opposed to an institutional environment. Known as one of the smartest and most trainable dogs, Abby, a miniature poodle, is the epitome of her breed. She arrived at Brookside as a twelve-week old puppy and attended obedience school until she was eleven months old. A true poodle, Abby became certified as a therapy dog at fourteen months, exhibiting the obedience, rapt attention to her caregivers, and positive response to all displays of affection that this kind of dog is famous for. Indeed, there is ample evidence that pets can help reduce stress, lower blood pressure, increase social interaction and physical activity, and help Seniors remain involved – and learning! That pets create a sense of companionship is a known fact. What people sometimes miss is the sense of purpose they can generate in Seniors. “Being involved in the care of the pet, yet not bearing the full responsibility of the pet’s wellbeing, adds a sense of structure and purpose to our residents’ daily lives”, says Hallman. “Whether it is their turn to walk Abby, knowing she has an upcoming visit to the groomers, or just knowing her cute little tail will be wagging to greet them every morning, it all translates into added measures of wellbeing”. Furthermore, one of the biggest benefits to the residents, is having ‘someone’ to take care of, comfortably placing them in the role of caregivers – as opposed to feeling constrained to the role of recipient of care. At the end of the day, Brookside’s residents reap tremendous benefits from knowing that, in one way or another, they too are taking care of another living being. Committed to delivering the highest standards of excellence to expedite recovery, and the most compassionate care in a home-like environment, Brookside Healthcare & Rehabilitation Center provides post-hospital recovery care and rehabilitation services, skilled nursing and long-term care. For more information and to schedule a tour, please email admissions@brooksidehealthcare.com or call (215) 884-6776. 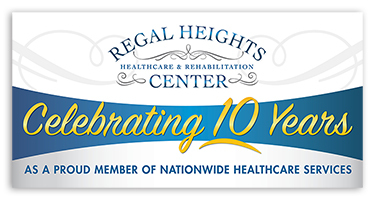 To learn more about Brookside Healthcare & Rehabilitation Center, click here.